The Upanishads, dating largely from the eighth to the sixth centuries BCE, are the “wisdom literature” of the Vedas. 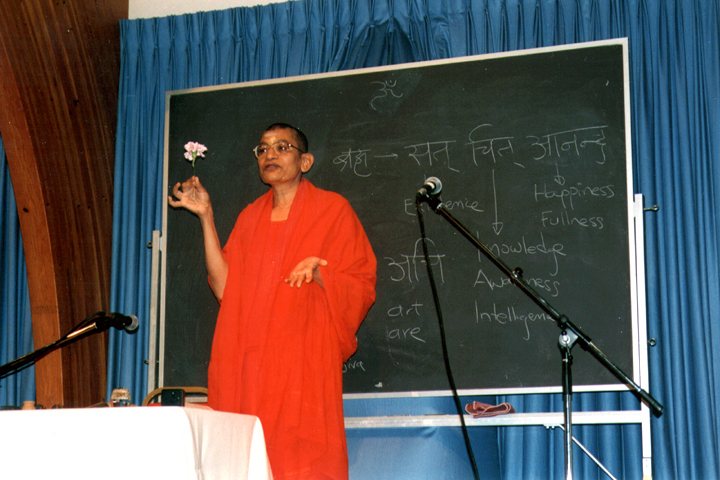 Most Upanishads take the form of dialogues between teachers and students. They turn from the rites of the fire altar to the question of the deeper, inner meanings of ritual. They explore speculative questions about the origin, basis, and support of the universe. “What is the cause? What is Brahman? Whence are we born? Whereby do we live? On what are we established?” So asks the seeker in the Svetasvatara Upanishad. The teachers of the Upanishads point the way to a profound realization: Atman, the inmost soul or breath of life, is also Brahman, the ultimate reality that pervades the entire universe. Reality beyond is also within. The teachers of the Upanishads teach by example and analogy. One asks his student to bring him a fig. “Truly from what you cannot see, the whole fig tree grows. That is Reality. Brahman underlies the whole universe. It is the life-force which is the subtle essence of everything. One cannot see Brahman, as one cannot see the inside of the tiny seed of a fig. But Brahman is there and gives life to all, as the seed produces the fig tree. Whether inside the fig seed or inside oneself, it is the same living source. 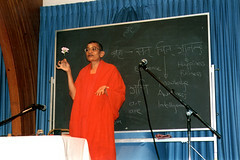 Other teachers take a different pedagogical strategy in pointing to Brahman. Rather than seeing Brahman as pervading the universe, they speak of Brahman as wholly transcendent, describable in human terms only by saying what Brahman is not: “It is not coarse, not fine, not short, not long, odorless, tasteless, without eye, without ear, without voice, without name, unaging, undying, without measure, without inside and without outside.” This way of speaking stretches the mind beyond the available categories of the world to glimpse that which cannot be contained by human categories.